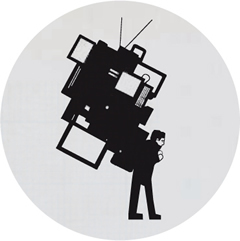 This course is a survey of ideas: Media Ideas. Media Studies is an inter-disciplinary field of study. We tend to assume that ours is an exceptional era, one unprecedented in its mediatization, unique in its digitality, its information- and image-centricity. But even if the conditions of our media environment are unprecedented, these claims of exceptionality are not new nor are the practices of thinking about and theorizing media and communication. In this course we will focus on the schools of thought that have shaped the study of media throughout the 20th century, and the theories that have lain the foundation for media studies in the 21st century. We will discover that media studies, as it has come, and continues to come, into its own as an academic discipline, has borrowed from a variety of other fields, including literary theory, art history, anthropology, sociology, history, and philosophy, to name just a few. As we come to appreciate the interdisciplinary nature of media studies, we will also have to consider what distinguishes our field from others: What constitutes a medium? What is communication? And, furthermore, what is "theory" and what good is it to theorize the media, or any cultural practice or product, for that matter? We have time this semester only to survey the field to see the primary ways others have approached the study of media and, in the process, to acquire a vocabulary of theory and establish a set of questions we can apply to the study of media. IMPORTANT: Your paper should be submitted to me directly by email in electronic form (Word Perfect, MS Word, PDF, HTML and plain TXT are all fine). All quotations and references must be properly cited. DO NOT POST YOUR ANSWERS ON THE BLOG! Watch: Mark Achbar and Peter Wintonick, Manufacturing Consent: Noam Chomsky and the Media, 1992, 167 min.